Everton are discussing a move to sign Juan Bernatin. According to the football transfer rumours in British media, Everton will look to sign Bayern Munich left-back Juan Bernat. The Spain international was signed by Bayern Munich in July 2014 from Valencia for a fee of 10 million euros. The 24-year-old has a contract until 2019 with the club. The left-back has played 103 times for Bayern Munich since signing from Valencia, scoring five goals and creating eight assists in that time. The 24-year-old is out of the picture at Bayern Munich, which has opened the door for a potential exit. Adding a left-back remains Everton’s top priority this winter and Sam Allardyce will have drafted a shortlist of a number of possible targets he could approach in the coming days. 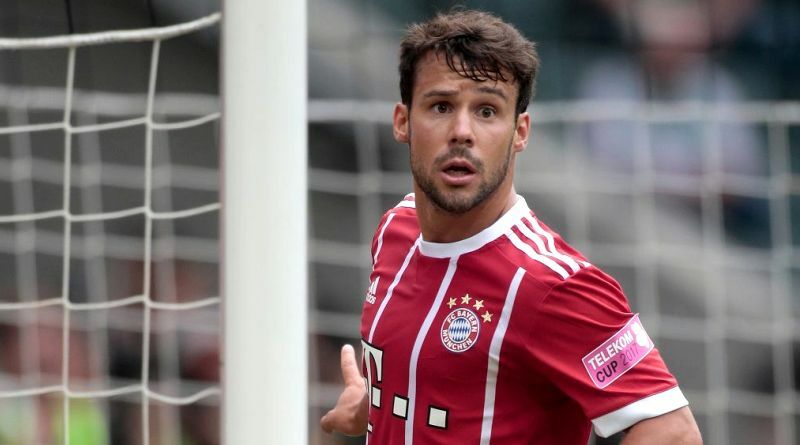 The report claims that Everton manager has extensively scouted Juan Bernat and is considering a move for the left-back. According to the report, Everton are weighing up a January move for Bayern Munich defender Juan Bernat. The 24-year-old is behind David Alaba in the pecking order at the Allianz Arena and it is thought a move away would boost his chances of making Spain’s World Cup squad. Reports in Turkey have also linked Galatasaray with a move for the versatile 24-year-old, who can also be deployed on the left wing. A move to Everton is exactly what Juan Bernat needs to reignite his career, and we hope he is able to do just that. The 24-year-old is certainly a player that would strengthen the current Everton squad and would be a good buy in January.